hectic and stressful with movers moving in and out of your home and your kids and pets running around. 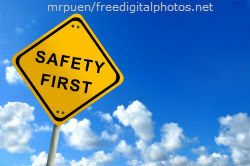 The exercising of caution on your part will go a long way in making your move safe. A dolly or a hand truck can be used to stack up boxes and carry them from your home to the moving truck. If you are engaged in a do-it-yourself move, then you have to take proper care while lifting heavy boxes. It is recommended by health professionals to bend your knees and keep your back straight while lifting heavy boxes or furniture. If you use your back to lift your boxes, then the chances of hurting or straining your back are greater. Regular breaks throughout the moving day should be taken to give your back the much-needed rest. Clothing should be proper for safety reasons. As the movers come in, assign roles to them so as to avoid people getting in the way. Communicate clearly to the movers or people who are helping you in your move about which boxes go where. It is a good practise to keep boxes containing fragile items on the top. Children running here and there, especially on moving day, are prone to accidents and it's just plain unsafe. A babysitter, a member of your family, a friend or a neighbour should take care of your children at some place away from your home. If this is not a possibility, then confine them to a room that is infrequently used and engage them with board games or handheld video games. 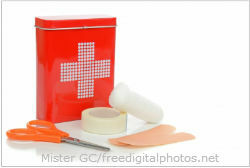 This is sufficient to treat any bruises or cuts that people may get while moving goods. You need to make sure everyone knows where a fully charged phone is and an emergency contact list. Food, water and a pot of coffee should be made available for movers and for those involved in moving. Allocate a space in your house away from the moving space, where people may come and have their refreshments during break time. Flammable substances like paint thinners, liquid candles, aerosol cans and typical household cleaning products should be used before the moving date arrives for safety. Any remaining substances should be thrown away. It is highly recommended not to carry flammable substances in your car while moving as they may explode during a crash, costing you your valuable life. After moving into your new home, a thorough inspection of your property for bad lighting, overgrown shrubbery and any such places where potential criminals can hide is recommended. Entry points into your home like windows and doors should be checked for locks.